All major browser have recently released their new version compatible with HTML 5 and loaded with many new features. I have IE 9, Firefox 4, Opera 11 and Chrome 10 browsers installed on my windows 7 64-bit. Google Chrome browser looks better than other browser in few aspects. I will not say, Google chrome is best modern browser, but it is certainly a better modern browser. 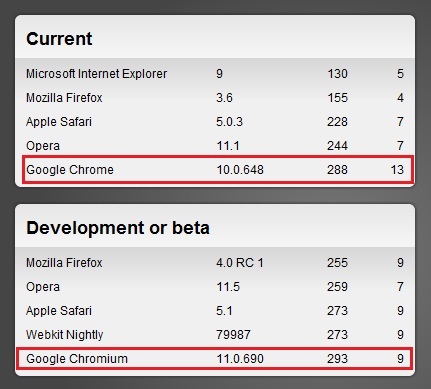 Google Chrome is only browser to cross 300+ points out of 400 in HTML5 test. Chrome browser has smallest startup time. It is very light, and need very small time for startup. 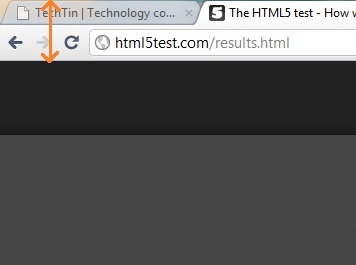 Chrome browser toolbar height is very small, so, you get larger area for webpage view.